Fed policymakers cut growth forecast ... The Federal Reserve sharply reduced its forecast for U.S. economic growth Wednesday but also predicted that the unemployment rate by year's end will be lower than it previously estimated. Dominant Social Theme: Things are looking good; we just have to make an adjustment. Free-Market Analysis: The Federal Reserve has cut its growth forecast but we know that such conclusions are bound to be faulty because the numbers being used are inaccurate and the assumptions behind Fed pronouncements are illogical. It is hard to constantly remind oneself of the essentially dishonest nature of the society in which one lives. But it must be done. Otherwise one departs from reality and will inevitably be blind-sided by that same reality. The truth is that such central banking pronouncements are based on a flawed idea: that people can use backwards-looking data to make accurate projections. Incredibly, even if one were to grant that one can extrapolate accurately based on information at hand, such information has to be precise. And there's plenty of controversy over the numbers that the Fed uses. The numbers may not be accurate. The methodology employing those numbers is likely not feasible. And yet throughout the world, the Fed's approach is reported almost uncritically. It is the accepted approach to economic management even though it is evidently illogical. In a statement after a two-day meeting, the Fed's policymaking committee also said it will continue to reduce bond purchases intended to hold down long-term interest rates and stimulate growth because the economy and labor market are gaining momentum. As expected, the Fed cut its monthly purchases of Treasury bonds and mortgage-backed securities to $35 billion from $45 billion. It's expected to halt the program by fall ... At a post-meeting news conference, Fed Chair Janet Yellen largely dismissed concerns that inflation may be rising, and unemployment may be falling, more rapidly than the Fed anticipates. Such a scenario could force the Fed to raise interest rates sooner and more rapidly than current Fed plans. One measure of inflation jumped sharply last month and another that the Fed more closely watches could have hit the Fed' 2% annual target in May. But Yellen downplayed month-to-month movements in consumer prices. "I think the data we're seeing are noisy," she said. "Broadly speaking, inflation is evolving in line with current expectations." Similarly, the unemployment rate has been falling more quickly than the Fed anticipated. But Yellen said many discouraged job-seekers have stopped working or looking for work. They eventually could surge back into the labor force, she said, causing unemployment to fall more slowly. "It probably reflects a kind of shadow unemployment or discouraged workers," Yellen said. The Fed's more cautious economic growth outlook for 2014 was widely anticipated after the government estimated last month that the economy shrank 1% in the first quarter amid extreme winter weather. ... Some economists now worry that rapidly rising prices, along with stagnant wages, could discourage consumer spending and undermine faster economic growth. That potentially poses a dilemma for the Fed as it decides when to begin raising short-term interest rates that have hovered near zero since the 2008 financial crisis. Financial markets expect policymakers to begin raising rates in mid-2015. Fed policy makers are coming to conclusions and taking action that affects the finances of hundreds of millions. Yet there is no mention of a possible problem with any data nor is there any perspective that the analysis itself is little more than guesswork. Janet Yellen claims the "data are noisy," but this is an opinion. Similarly, she claims that "inflation is evolving in line with current expectations." Also, she is speaking of price inflation even though she mentions "inflation." Inflation is an expansion of the money supply. Even the terms being used are subject to several interpretations. 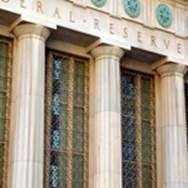 These are provocative headlines indicating the use of data sets that are far different than what the Fed is employing. It stands to reason that if the Fed is employing inaccurate data, then Fed conclusions are based on faulty assumptions. The Federal Reserve System, authorized by Congress in 1913, and beginning operation in 1914, presided over the more than doubling of prices during and after World War I. Its overreaction produced the subsequent sharp depression of 1920-21. After a brief interval of relative stability in the 1920's its actions significantly intensified and lengthened the great contraction of 1929-33. More recently, the Fed was responsible for the accelerating inflation of the 1970's — to cite just a few examples of how its powers have in fact been used. In an article entitled, "Still Going wrong at 100," The New American points out that, "the National Bureau of Economic Research has recorded 18 recessions in the hundred years that the Fed has been in business, averaging more than one recession every six years. Meanwhile, the dollar has lost 95 percent of its purchasing power, meaning that what cost $1 in 1913 costs $20 today. 'Stability' has had quite a ride." We become inured to Fed pronouncements and often wish to believe we are being told what we need to know. Yet top central banks meet regularly in Switzerland under the supervision of the BIS to "coordinate" monetary "policy." This simply means that bank heads are legally conspiring with one another to implement certain secretive financial plans. Neither the BIS nor central bank heads tell us what these plans are, nor what the goals are supposed to be. The current coordinated inflation is historically anomalous and likely incredibly destructive over time. In "Central Banks are Nearing the 'Inflate or Die' Stage," alternative media pundit Paul Brodsky points out that "there is no physical limitation on the amount of currency that central banks may manufacture. And so this is a completely viable way to deleverage the system -- by purely destroying the currency that we have. It is debt currency, so we are going to destroy the debt in real terms behind them but not destroy them in nominal terms." Another conspiracy "theory" becomes conspiracy "fact" as The FT reports "a cluster of central banking investors has become major players on world equity markets." The report, to be published this week by the Official Monetary and Financial Institutions Forum (OMFIF), confirms $29.1tn in market investments, held by 400 public sector institutions in 162 countries, which "could potentially contribute to overheated asset prices." It is easy to be lulled by Fed forecasting because it is part of a larger mechanism taking place around the world. Something so big and ubiquitous surely cannot be wrong. And yet it is. Central banking economics is wrong everywhere. The data is inevitably wrong. The idea that one can make accurate projections and then act on them is wrong. And most profoundly wrong is the idea that small groups of individuals can productively "fix" the price and value of money. Such price-fixing never works and always has terrible consequences. It is surely happening again. Asset bubbles are being created everywhere among high-end luxury goods and in real estate, where we would logically expect to see them. Before this latest episode of monetary madness is over, central banks will likely have stimulated stocks to unheard of valuations. (We call this the "Wall Street Party.") The madness of these valuations will be part of a larger, ruinous asset inflation. The goal of the system is global economic, fiscal and monetary centralization. Only when this is kept in mind does the madness become more comprehensible. It is so very easy to be lulled by central banking pronouncements into forgetting how illogical the current system actually is. Every day one needs to make an effort to remind oneself of the essential disconnect between the formal monetary power structure and the reality that it produces. It is difficult because the errors are so widespread and include erroneous assumptions involving the media, education and politics. One is tempted to exclaim, "How can the entire mainstream apparatus of the Western world be so wrong? How can one argue for a conspiracy so impossibly large and broad?"